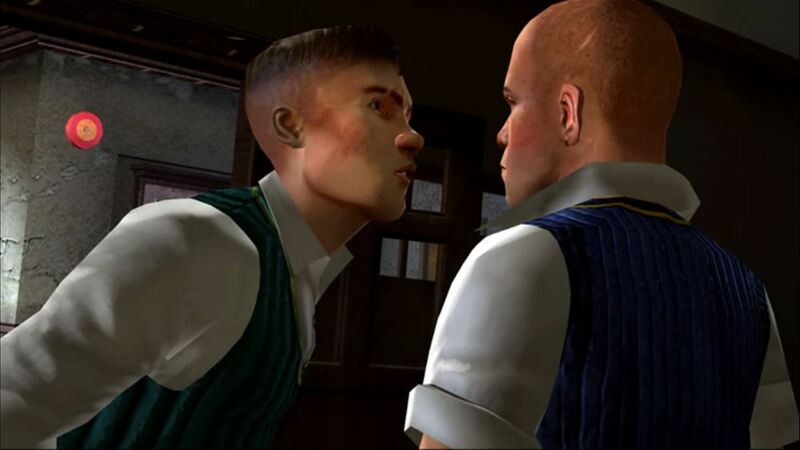 Bully is Rockstar’s best game. There, I said it. Other folks will say it’s GTA Vice City (boring map), Red Dead Redemption (momentum killing Mexico section) or GTAV (this one’s close, I’ll admit) but for my money, Bully is Rockstar at its best. With clever writing, outstanding presentation that still holds up to this day, and a densely packed map full of fun stuff to do, Bully is simply outstanding and should be a must-play title for anyone that hasn’t experienced it yet. Continue reading our gushy love letter to Bully for more. 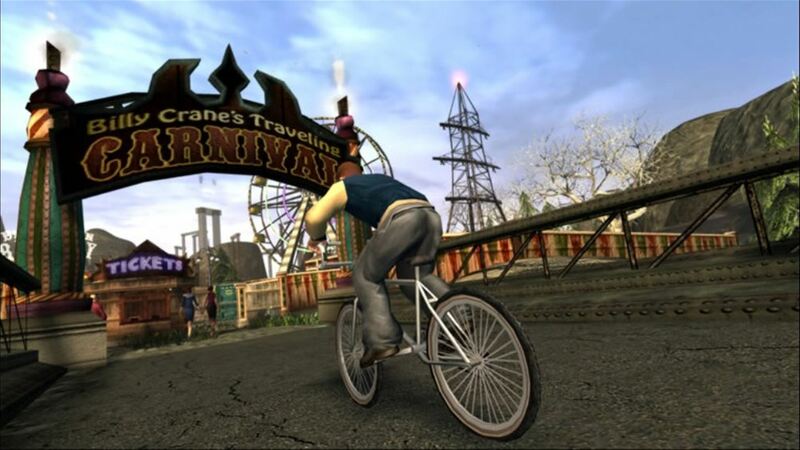 Originally released for PS2 in 2006 and re-released in 2008 on Wii and Xbox 360 in 2008, Bully is an open world adventure about a troublemaking teen named Jimmy Hopkins who is transferred to the notoriously brutal Bullworth Academy. Despite the name “bully” and the overreaction by certain parental watch groups at the time of release, Bully is not about glorifying bullying and school violence. In fact, it is quite the opposite. Bullying gets you in trouble in this game and the overarching story is actually about stopping bullying and trying to get everyone at Bullworth Academy to get along. You certainly “can” do bad things, but that isn’t the point of the game as this is less bully simulator and more everyday high school simulator. 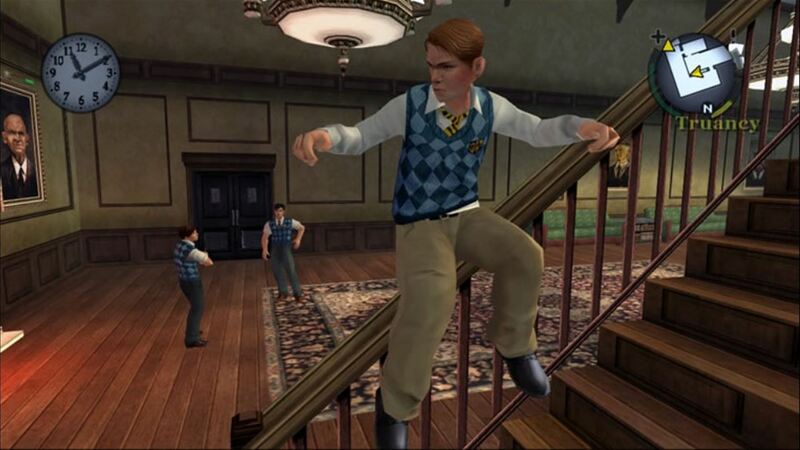 That is one of the key distinctions that sets Bully apart from other Rockstar games. Most people are not criminals or Wild West cowboys, but pretty much everyone has gone to school and experienced many of the exact same things depicted in the game. The story of preppies, nerds, jocks, bullies, and the normal folks caught in between (fun fact, at my school the preps and jocks were the same people!) is as old as the public school system itself. It makes the story of Bully instantly understandable and relatable in ways that most videogames, not just specifically Rockstar games, can’t match. We’ve lived a lot of this, and seeing how things play out is extremely satisfying. Bully is also outstanding in terms of the variety of things you can do. At first, the game seems very small and confined since you can only roam around the school campus and your only real activity is to go to class, but things open up as you complete the story and it gets a lot more interesting. Eventually you’ll have the run of an entire small town full of distinct areas and things to do. 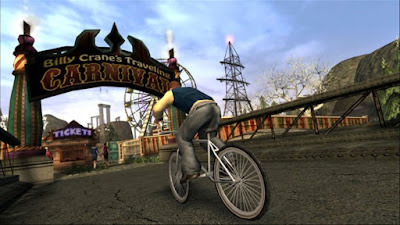 There are BMX races, boxing, go kart races, a carnival with games and rides, loads of collectibles, random missions to help people on the street, lawn mowing jobs, paper delivery jobs, arcade games, and much more. And unlike other games that promise lots of stuff to do, but the activities aren’t actually any fun (looking at you, Yakuza series), the activities in Bully are all pretty enjoyable. Even going to class – English, Art, Photography, Shop, Chemistry – is surprisingly fun here. Something else noteworthy about Bully is how well everything has held up despite being more than ten years old at this point. The controls are surprisingly solid and don’t really have that distinct old janky feel like the GTA games can have. The visuals also look remarkably good, particularly the character faces. Sure, there are blurry textures and some not so great looking outdoor areas, but for the most part it does still look good. And it definitely all sounds absolutely AMAZING. The voice acting is incredibly good and the music is simply stellar. The original soundtrack composed for this game is some of Rockstar’s greatest audio work ever. The one area where Bully stumbles just a bit is in the story department, unfortunately. The writing itself is consistently high quality and the world building and character building is expertly done, but there are some rough bits in the story that knock the game down just a bit. First off is the notion that your character, Jimmy Hopkins, is some sort of horrible mean-spirited bully. Throughout the game he is referred to as a bad kid and a psychopath and a problem child, but you never really do anything especially bad. If you do have to do something bad, it’s always for a good reason and with good intentions. Other students certainly do worse things than Jimmy. The Jimmy Hopkins that got expelled from every other school he was sent to is certainly not the Jimmy Hopkins you get to know in the game. Another problem with the story is that the main villain, a kid named Gary, totally disappears for ¾ of the game just to show up at the end. He’s the puppet master that causes all of the things in the story to happen, so he’s “around”, but it would have been nice to actually see or interact with him more than just at the end. The story also takes wild swings with your reputation where everyone instantly loves you or hates you at the drop of a hat, which doesn’t really make sense. The pacing of the last chunk of the story, when Jimmy interacts with the local “Townie” kids, is also way too fast and nonsensical and hard to follow as if the dev team ran out of time and had to rush through it. 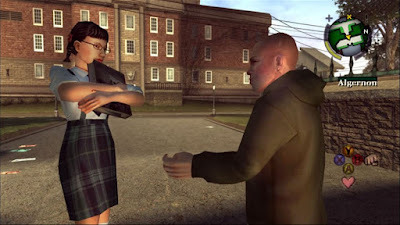 In spite of those storytelling nitpicks, Bully’s strengths are still more than enough to make it a great game overall. The dialogue and interactions you have with the other students and teachers is absolutely fantastic and the overall feel of attending Bullworth Academy is very well done. Add on to that the solid gameplay full of stuff to do and great presentation and Rockstar’s Bully is still a winner. One thing worth noting is that the game is available both on Xbox One (via backward compatibility) and on PS4 (as a PS2 port). If you have the option, I would recommend the X360 / Xbox One Bully Scholarship Edition over the PS4 version. The Scholarship Edition has some extra stuff to do, but more importantly, has a fairly decent graphical upgrade (not crazy or anything, but the lighting engine is significantly better) that makes it superior to the original PS2 version you’ll play on PS4. I already beat it on Xbox 360 (and got all 1000 gamerscore, by the way) but I also played the PS4 version as well (to get the platinum trophy, naturally). Any way you can play it, though, I highly recommend giving Bully a look.